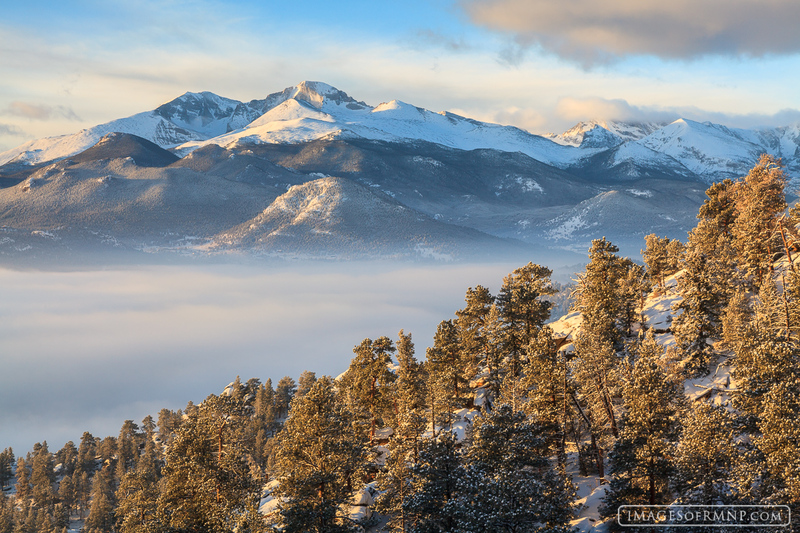 After several days of clouds and snow the storm broke, though Estes Park was still under a thick blanket of clouds. I was up on Lumpy Ridge that morning and was able to enjoy this wonderful view of Longs Peak. Photo © copyright by Erik Stensland.